Despite that, she had some battle skills as well. 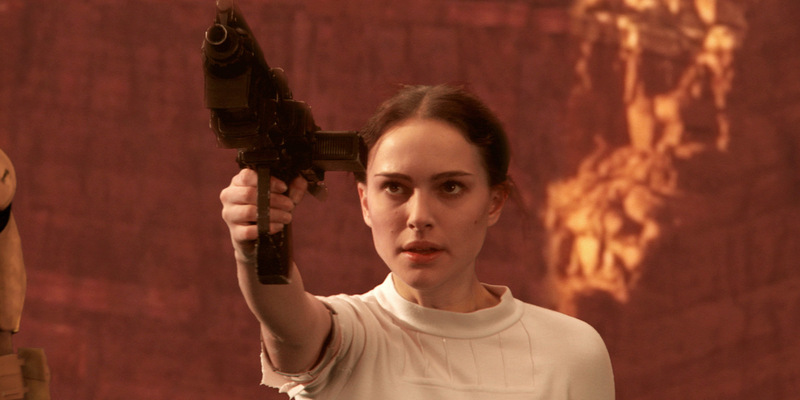 For a kid who grew up in the cozy, lush environs of Naboo, she showed remarkable bravery and poise during the frantic Battle of Geonosis in Attack of the Clones, handling a blaster with ease. She referred to it as “aggressive negotiations” after Anakin called her out on her previous belief in “a diplomatic solution.” As powerful as she was, she ultimately lacked the power to keep the love of her life, Anakin Skywalker, from turning to the dark side.